This window lets you see the symbol table. You can open or close the symbol table window by selecting the "Symbol table" Entry in the View Menu. 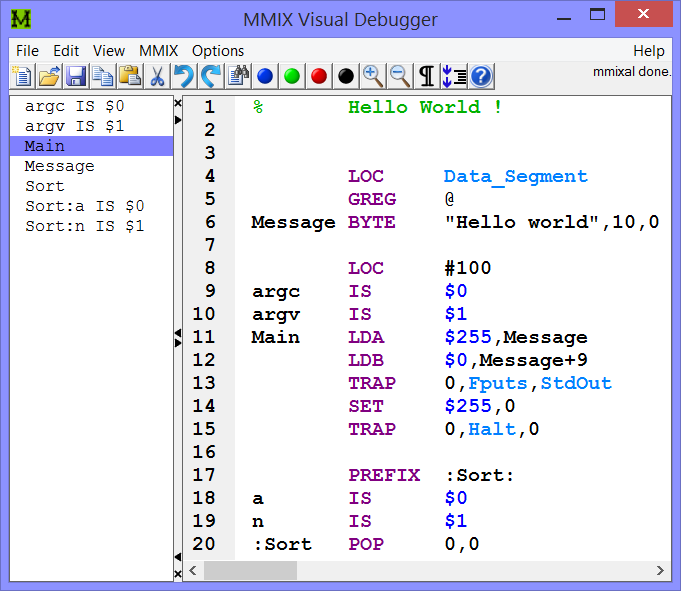 When the window is opended, it displays a listbox with the symbols defined in the assembled program. Hint: If the listbox is empty, assemble the program (press F7) and you will see the symbols defined in the program. You can use the symbol table to move around in your program. If you double click a symbol in the list the cursor will be repositioned in the source file to the line where this symbol is defined. You can specify which symbols get listed in the symbol table list using the symbol table options dialog. To do so open the Options Menu and select "Symbol table ...".